Meat shields. . . er . . . civilians! Been a while since I posted up any painted figs. Tonight I finally finished off a couple batches of figs. 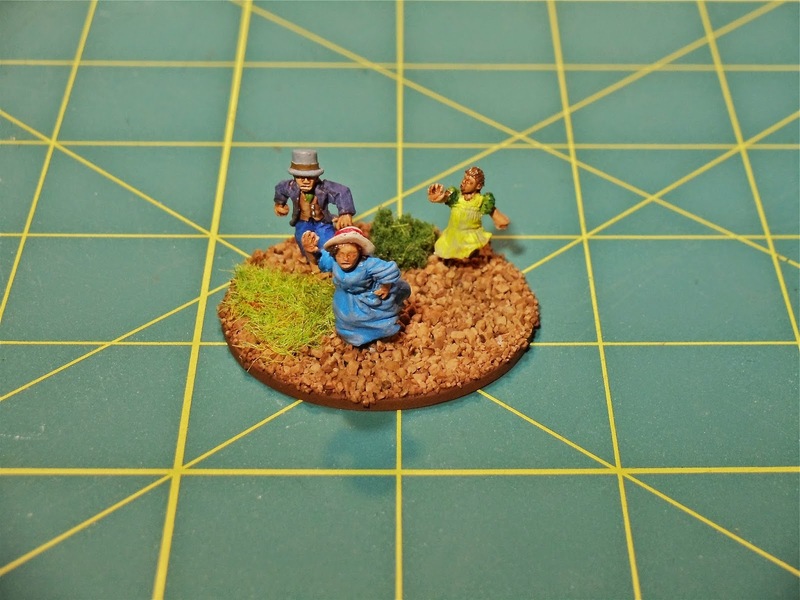 First up are 9 bases of 15mm Human civilians (a.k.a. Pre-Lobototons) for All Quiet on the Martian Front. These figures are all from Alien Dungeon and are really nice. Very detailed and lots of character. 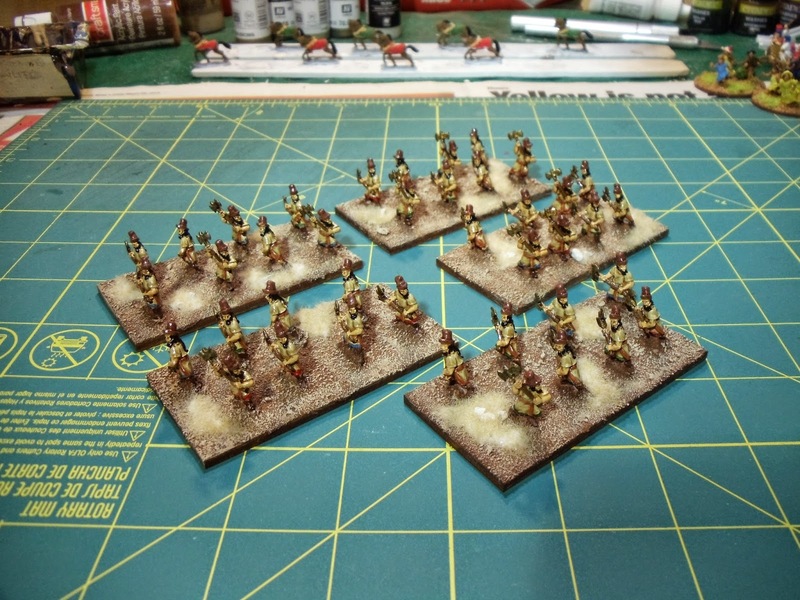 Next up is a batch of 15mm Hittites (finally!). 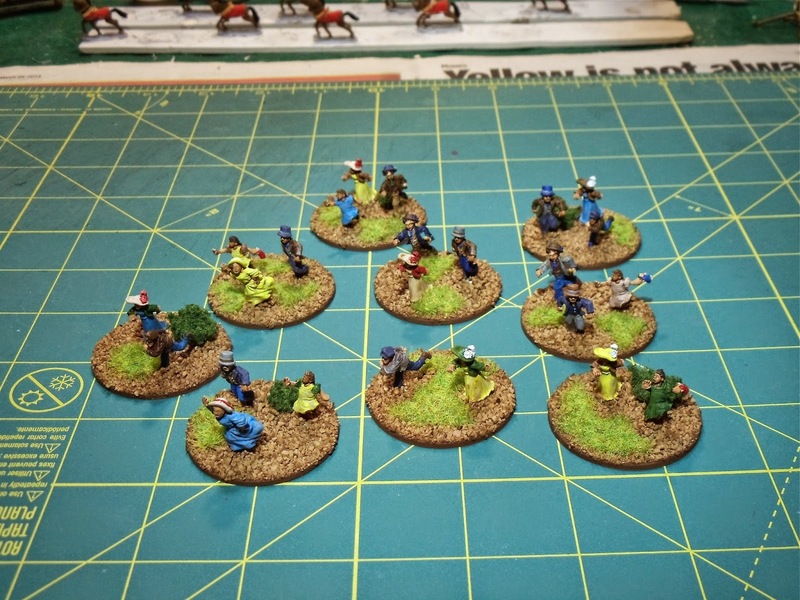 These are 5 bases of heavy infantry. Figures are Old Glory 15s. Next up on my table is maybe some terrain, some Hittite chariots are almost done and I've primed all of my Lobototons with blasters for AQotMF.